Toedoe Story shorkie Puppies MUST READ! Each and every breeding we do is carefully planed. We want our parents to complement each other so they produce the BEST babies for our puppy parents.... We are even more picky on the timing of the breeding because of the care each and every one of our babies receives. From the time they are born into our hand to the time they arrive home into your arms. Our top Quality purebred shih tzu's and Yorkies are registered with AKC (American Kennel Club). AKC does not recognize or approve of cross breeding. But AKC does allow you to line breed or interbreed. 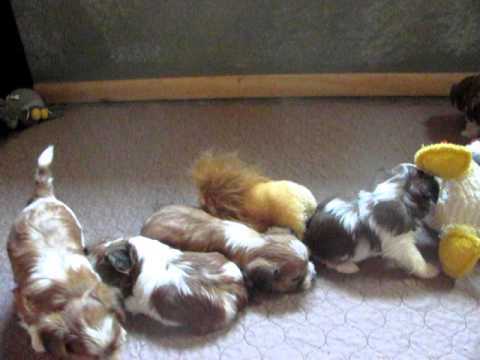 They will register puppies that are produced by line breeding or interbreeding. Just because a dog is AKC dose not mean it is good quality... You need to do your research on the breeder you are adopting your baby from. . None of our adults are from line breeding or interbreeding. When looking at websites for fur babies ask to see their past shorkie puppies as adults. So you know what kind of babies they produce. Our adorable puppies range in size 3-9lbs full grown most of the time. By producing the bigger sizes this allows us to have the right size puppy for every family. Shorkies under 5lbs full grown are NOT good with small children. Shorkie puppies that small can get hurt very easy sometimes just by jumping off the couch. But when you get a puppy that at least 6lbs full grown they are great for kids and are a wonderful companion for the whole family. Click here to read the 2008 emails we have received. 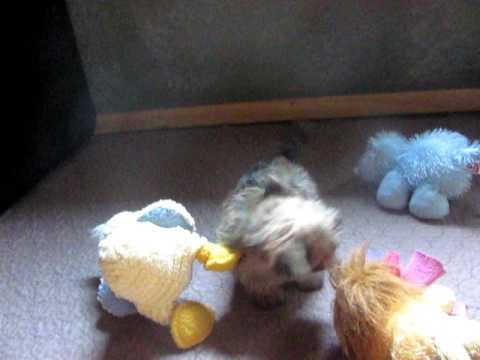 We post our shorkie puppies photos and information so our puppy parents can watch them go and see how they change and mature. We like for all our puppy parents to see them as if they were in their home with them. This also allows us to get to know our puppy parents better and for us to get to know them. This allows us to build a family relationship with our puppy puppy parents. When you adopt a baby from us you become part of our extended family. We update our puppy photos about every 2-3 weeks some times sooner. This allows you to see the changes in your new baby as they get bigger. I know and understand how difficult it is not to be able to see your new little one in person, and when they are so tiny and fragile. We want our puppy parents to see the changes as they happen with their new baby. 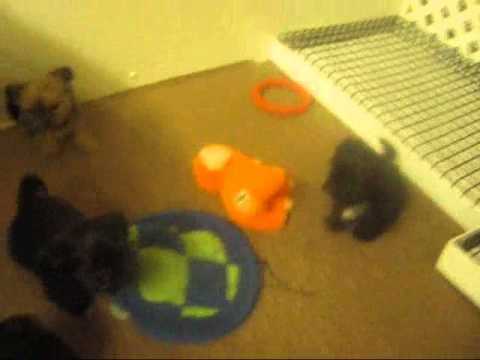 Here are a few puppy videos, theses babies have been adopted visit our nursery to see the babies we have at this time. We always have a waiting list if you want to be on our waiting list just fill out my adoption form and I will give you a call. Hwy 60, Aurora missouri, SW Missouri, MO. © 2007-2018 Shorkie World Copyrights. All right reserved.